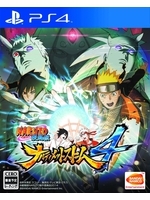 The Jump Festa exposition was held this weekend, the best place for Bandai Namco to release this new trailer of Naruto Shippuden: Ultimate Ninja Storm 4. The title will be available on February 9. This team should make the next Dragonball Z game! They know how to do it right!